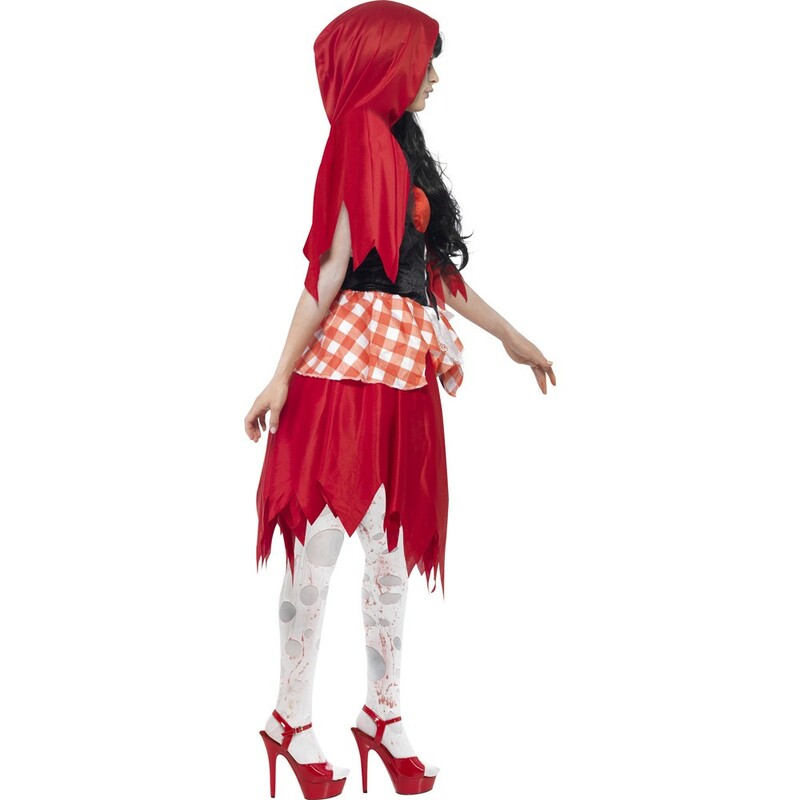 A Zombie Hooded Beauty Costume including a Dress with latex Chest, and Hooded Cape – Ideal for Halloween, a Zombie theme, or any fancy dress occasion. Go out and scare the wolf with this fantastic Zombie Hooded Beauty Costume. This Zombie Hooded Beauty Costume comes complete including a Dress with latex Chest, and Hooded Cape. 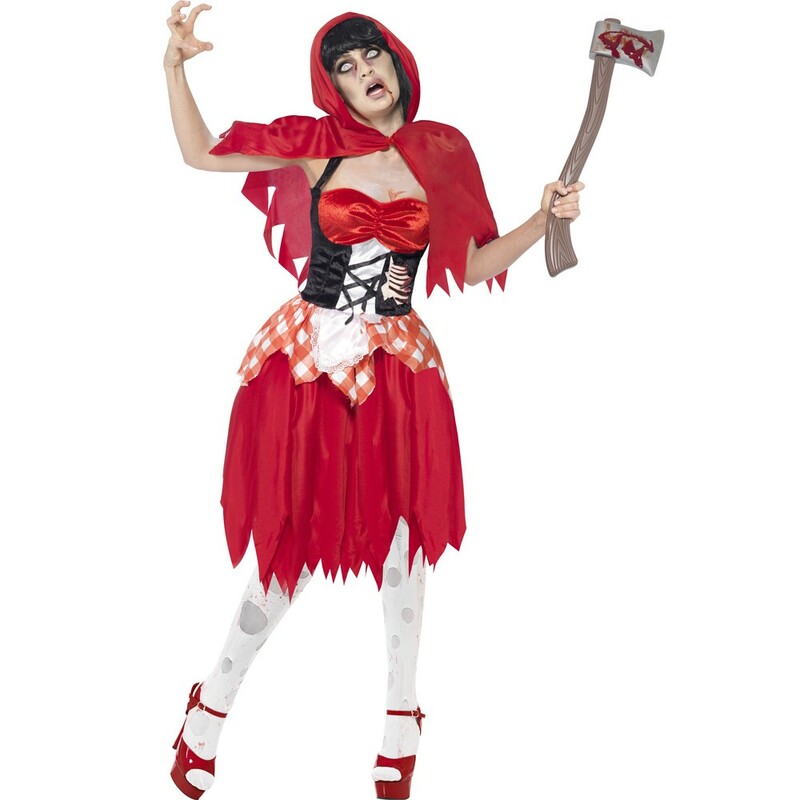 This red Dress features a red satin bust section, a black most corset design across the chest, an attached latex chest piece to bring the gore to this Zombie Hooded Beauty Costume, and a red and white check overskirt. 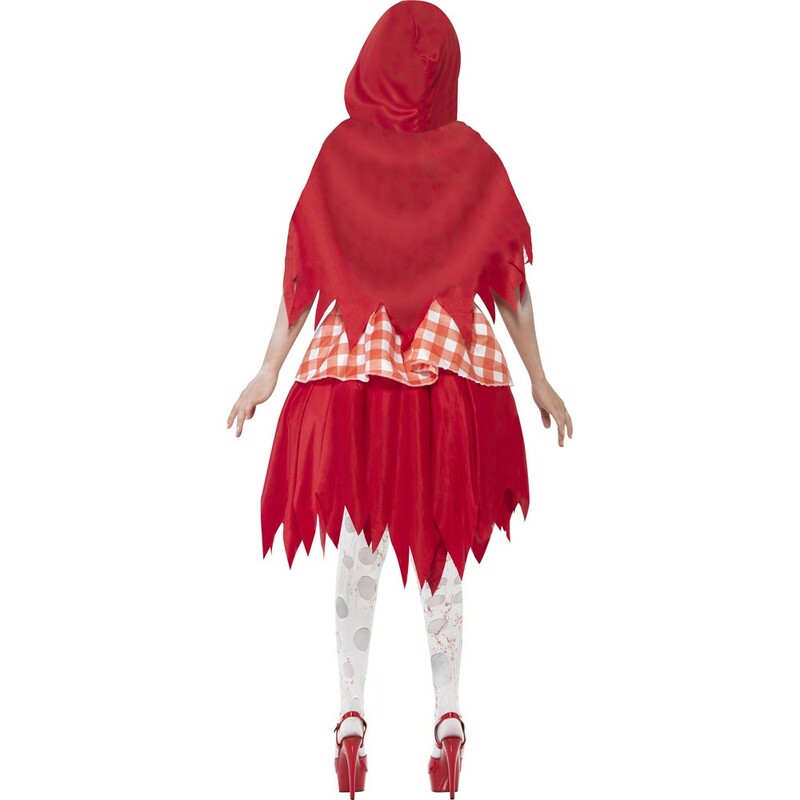 Combined with the Red Satin Hooded Cape, this Zombie Hooded Beauty Costume will be ready to hunt! Both the Dress and the Cape feature a tattered and torn effect, and complete this zombie effect. Perfect for Halloween, a Zombie theme, or any fancy dress occasion, this Zombie Hooded Beauty Costume will be sure to impress no matter what the occasion. Get ready to scare in this frightening Zombie Hooded Beauty Costume. A Zombie Hooded Beauty Costume including a Dress with latex Chest, and Hooded Cape.